Abhishek Bachchan, in a dignified manner, silenced a social media user, who tried to trash his acting ability by pinning the so-called "flop" status of Manmarziyaan on the 42-year-old actor. The user, who identified himself as Dr Harsh Kale on Twitter, shared a screenshot of an article, the headline of which read 'Manmarziyaan crashes in week 2' and wrote: "Manmarziyaan tanked at box-office, once again proving Abhishek Bachchan to be legend with amazing ability to make good film a flop. Kudos to his abilities, not many have it. It's time to end nepotism and for star kids to start vada pav stall... lol." 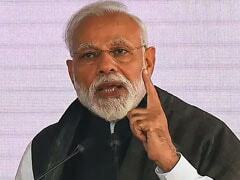 Abhishek Bachchan's replied: "With all due respect kind sir, I would expect an esteemed doctor such as yourself to study all the facts and figures before proclaiming anything. I certainly hope you do so with your patients. Learn the economics of the film before you tweet something that will embarrass you." Manmarziyaan, also starring Taapsee Pannu and Vicky Kaushal, is reportedly made on a budget of Rs 34 crore. The film has collected over Rs 61 crore worldwide. In addition to the box office numbers, the film's satellite rights, etc. would have fetched a handsome sum for the filmmakers. With all due respect kind sir, I would expect an esteemed doctor such as yourself to study all the facts and figures before proclaiming anything. I certainly hope you do so with your patients. Learn the economics of the film before you tweet something that will embarrass you. Abhishek Bachchan, however, did not stop at defending his film's financial status. The Dhoom actor also snapped at the user for seemingly looking down upon owning a vada pav stall. Abhishek separately tweeted: "And for your kind information (and I'm sure all vada pav stall owners will agree) there is great dignity in owning and running a vada pav stall. It's called dignity of labour. Try not to be so patronising about another professional. We are all doing our best." In his tweet, Dr Kale had also compared the success story Rajkummar Rao and Shraddha Kapoor's Stree to the 'failure' of Mamarziyaan saying, "Stree proves #TalentCounts." To which, Abhishek Bachchan replied: "And to end with.... One of the actors in the immensely entertaining Stree happens to be a "star kid" (Shraddha Kapoor is the daughter of actor couple Shakti Kapoor and Shivangi Kolhapure). Have a good day and here's hoping you spend more time on being the best doctor you can be instead of trying to be an industry analyst! Because as you said #TalentCounts." Abhishek Bachchan returned to the silver screen after a gap of two years with Manmarziyaan. His next project is also with Anurag Kashyap and it will co-star his actress wife Aishwarya Rai Bachchan. 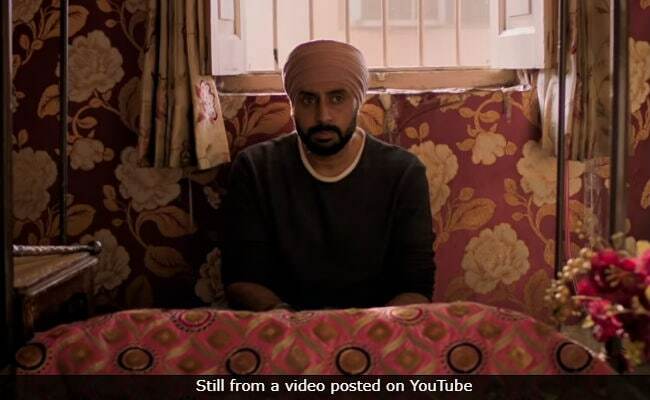 On Abhishek Bachchan's Smoking Scene In Manmarziyaan, Director Says "We Were Guided By Sikhs"